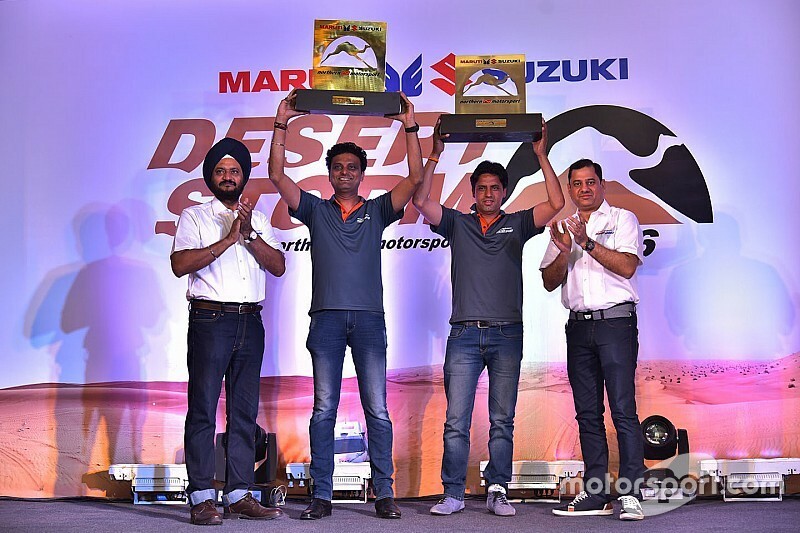 Suresh Rana and CS Santosh have won their respective categories at Desert Storm, following the conclusion of the final leg on Saturday in the Thar Desert. The 14th edition of Desert Storm included six legs spread across Noida to Jodhpur, with participants covering a total distance of over 2000 kms, primarily in the Thar Desert. Aabhishek Mishra had been leading the Xtreme category since the opening leg, establishing a reasonable lead over Rana despite a power steering failure in leg 3. But Mishra’s chances of defending his title evaporated in the second stage of leg 5A when his Grand Vitara barreled over, rendering him out of the rally. The car sustained heavy damage - particularly to its front fascia and the rear end - but both Mishra and his co-driver PV Srinivas Murthy were unhurt. 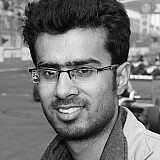 Mishra’s crash put Rana (co-driver Ashwin Naik) in the lead, who duly took the flag on Saturday, beating his nearest rival Amanpreet Ahluwalia by a mammoth margin of 70 minutes. 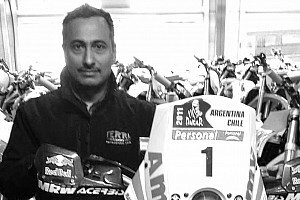 This was Rana’s second title of the year after India Baja. Meanwhile, Niju Padia, who had been steadily making progress since finishing ninth on day 1, took the final spot on the podium, while also emerging as the winner in his sub-class. Jasmohan Singh was classified fourth, nearly 30 minutes adrift of Padia, while S.Bajaj from Team Army rounded off the top five positions. The daunting challenge of Desert Storm took a toll on its participants, with only 22 able to make it to the flag in the Xtreme category. One of the biggest casualties was 2015 Lhakpa Tsering who’s Polaris burnt to ashes due to a fuel pump failure on the second leg. Women drivers showed grit and determination while competing against their male counterparts, with the all-women lineup of N Smitha and Ashika Menezes finishing 13th with a total time of 19hr09m40s. 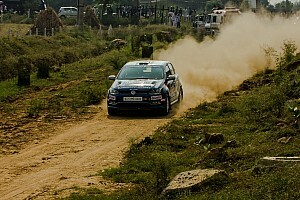 Aashima Kaushik, who recently took part in the Royal Rajasthan Rally, finished in 20th place. The Moto class of Desert Storm has been a one-man affair with CS Santosh leading from start to finish to take a comfortable victory. Santosh extended his advantage to as much as 44 minutes in leg 4 before receiving a 1 hour penalty in the next leg. However, such was his pace that he still remained on top, eventually winning the cross-country rally by over eight minutes. Last year’s Raid de Himalaya winner Aravind KP finished as the runner-up in the leading TVS RTR 450 bike, with fellow TVS rider R Nataraj finishing an hour down in third place. Jes David, who ran as high as second in the early stages, dropped down as the rally progressed, eventually finishing in fourth place. Team Austria’s Rene Steinhart’s recovered enough from his leg 3 travails to finish in seventh position, showing impressive pace in the latter part of the rally. In the Xplore category, Pratap took victory with a total penalty time of 2m01s, with Rajesh Chalana and Karthick Maruti completing the podium.